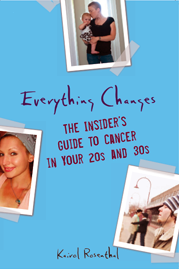 Everything Changes – The Guide to Young Adult Cancer » Cancer Music Therapy? Self-touted Musical Pharmacologist, Vera Brandes believes that music has healing, maybe even curative powers, and she’s designing clinical trials to prove her point. In her practice a patient would receive a diagnosis, be given music specifically composed for that ailment (she says that listening to music you are familiar with doesn’t work), and prescribed a listening regimen. While it sounds far fetched to me, there is no denying it would be vastly more pleasant than chemo. 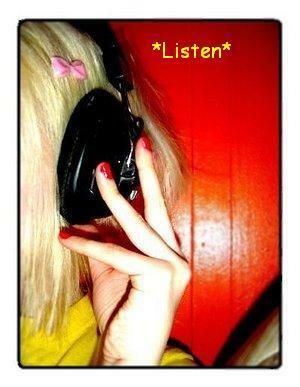 Even if music does not have the power to cure, it can transport and put into sound what often cannot be said in words. You may know Matthew Zachary as the founder of the I’m Too Young For This Foundation, but how many of you knew he was on the track to becoming a concert pianist before he was diagnosed with brain cancer at 21? Numbness in his left hand was the first symptom. Throughout his treatment, Matthew composed music in his mind. (I can relate to this quite well because I choreograph dances in my head non-stop.) After surgery and debilitating radiation treatment, he began using his hand again. Although his hand never returned to its pre-cancer mobility, he went on to record three albums, two of which related to his cancer experience. Has your cancer diagnosis, or another illness ever interrupted a creative part of your life? Have you returned to it? Do you find art to be healing? Do you ever consider it to be your medicine? Seating is limited for Matthew’s concert. Reserve your tickets here. My work isn’t necessarily “healing”, but it keeps my mind busy. I think having cancer has done more for my art than vice versa. I’ve always been crafty: cross-stitching, beading, knitting, jewelry making, crocheting. I used to always do these things with an obsession! And usually while hubby and I would settle down to watch our evening TV shows. Since my diagnosis, though, I’ve lost it, somehow. I don’t know if it’s the chemo-affected attention span issues or what but I miss the meditative rhythym I’d get into nightly with these crafts. Now it’s all just note-taking, video game playing (perfect for the ADD! ), and computing. I don’t even watch that much TV these days. Next week I start my creative writing class on Monday evenings. That will surely give me something fun to focus on – stimmulate my brain in the (w)right direction!